﻿ About Us, HYST QCCO China Steel Enterprise Ltd.
HYST QCCO China Steel provide a wide range of steel products as Steel pipes, Seamless tube and seamless pipes, Alloy pipes, Pipe fittings, Composite steel pipe used in the industry, construction etc. HYST QCCO China Steel produce an extensive selection of welded pipe including (ERW), (EFW), (DSAW) carbon steel pipe along with their respective. Spiral submerged arc welding(SSAW) is its forward direction and forming tube centerline hose reel molding angle (adjustable). We will help you put together your entire project and ship it to your closest port. We ship globally! 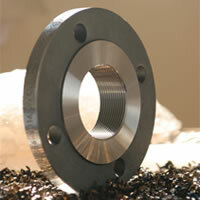 Forge & Fittings distributors both domestic and foreign forged fittings and forged pipe fittings to complete you.